This has been the single biggest project I have ever worked on. It has been challenging on so many levels, from a technical perspective to the difficulties of working with a group on a really long project. As the project has been been handed in for the DMU deadline this gives me a good chance to reflect upon our work so far and my own contributions, I will also give a detailed run through of what we are planning next up until the competition deadline. For Off the Map we were tasked with creating a level/gamed based from Lewis Carroll's 'Alice's Adventures Underground' using materials provided by the British Library. We were to then use these materials to draw inspiration and form a concept for our level based around three subthemes; Underground, Gardens and Oxford. Our team got together and started sieving through the materials. We noted down points of interest within the Alice In Wonderland book and in other materials provided by the British Library like the work of Athanasius Kircher, A 17th century scholar who created maps of a theorized subterranean world. 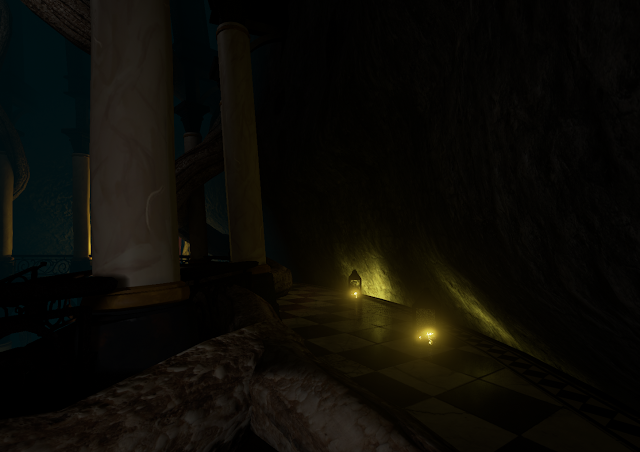 We broke down the themes and the areas in the story we wanted to include, we decided we could do a lot with the rabbit hole area in the underground section. The idea that we could stretch out that area longer than it is in the story and experiment more with the interpretation has us excited with possibilities. 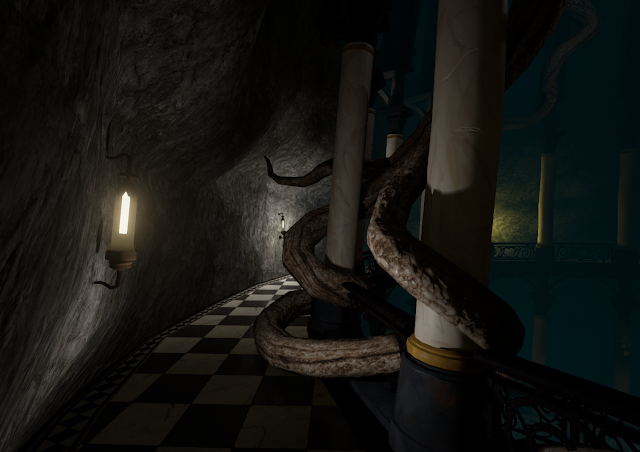 From there we built up a base concept of what we wanted to accomplish, we wanted a level that felt like it's actually underground but still reflects the alternate reality or dream world that Wonderland essentially is. It had to follow the book events, somewhat loosely. This could be done with reinterpretations of certain key events within the rabbit hole to make it fit our idealized level design. It had to play with the player's perception in some way - This is a key theme running throughout the book, not everything is what it seems so we must evoke that feeling. It had to tie back to Lewis Carroll - This is something we stumbled upon fairly early. We found an image of Lewis' Carroll's study and wanted to create what seems like a weird underground extension of his house, carrying over the game kinds of objects found in his house. 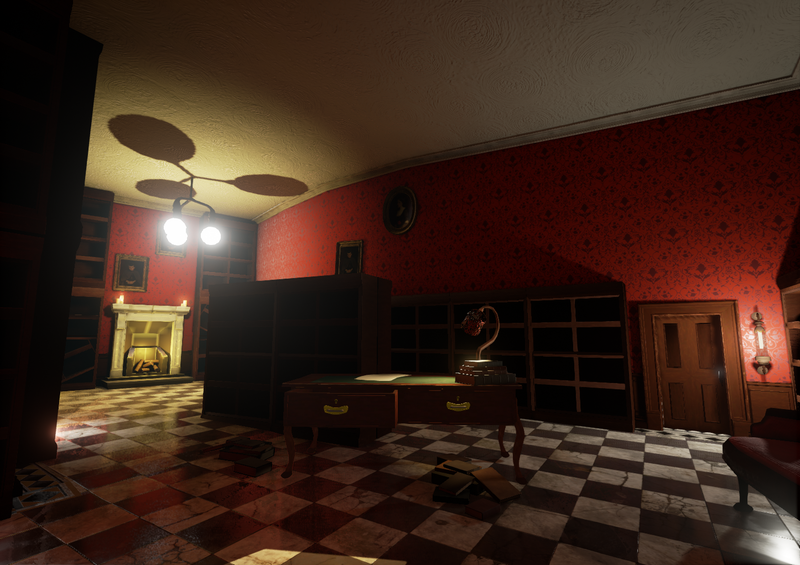 Our team focus was on creating a first-person puzzle based point and click experience. Using cutscenes with Alice and sound cues to carry the story forward. Our main goal is to get the player as immersed as possible. 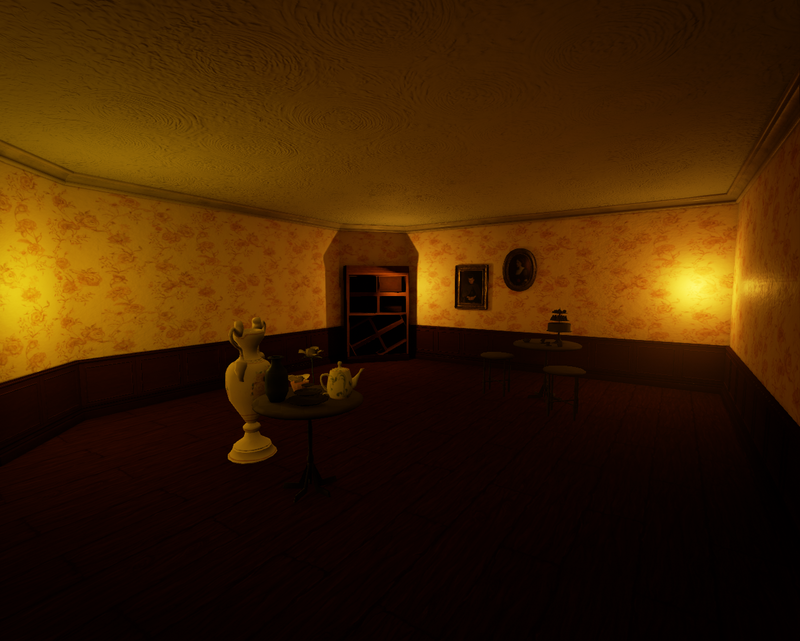 I am happy with our progress on our level, but as of now we currently have a lot unfinished. I do feel that these screens though showcase some of what we set out to do, I just know how much potential our level has but we still have quite a bit to do to show it. 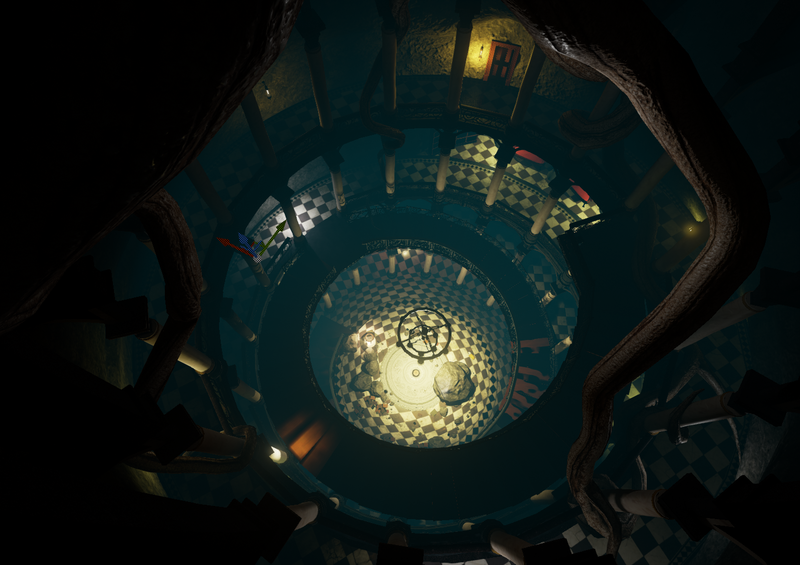 I believe that our level worked well when it came to actual implementation of some unique gameplay, we tried to get the advanced mechanics out of the way as soon as possible so we could focus on asset building an building on top of the level. 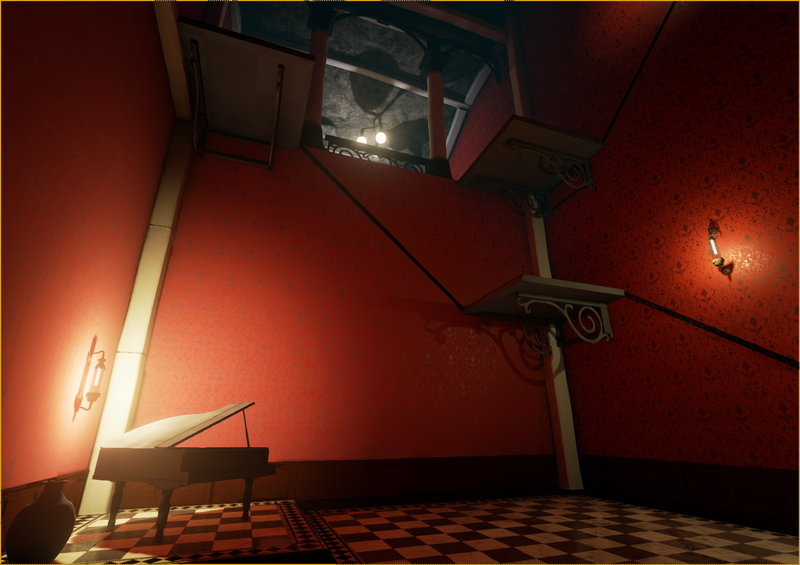 The concepts and background that our puzzles are built from make our level unique, with some elements that will set us apart from other groups; the inclusion of the anamorphic puzzles add an interesting twist to gameplay that other groups may not have. 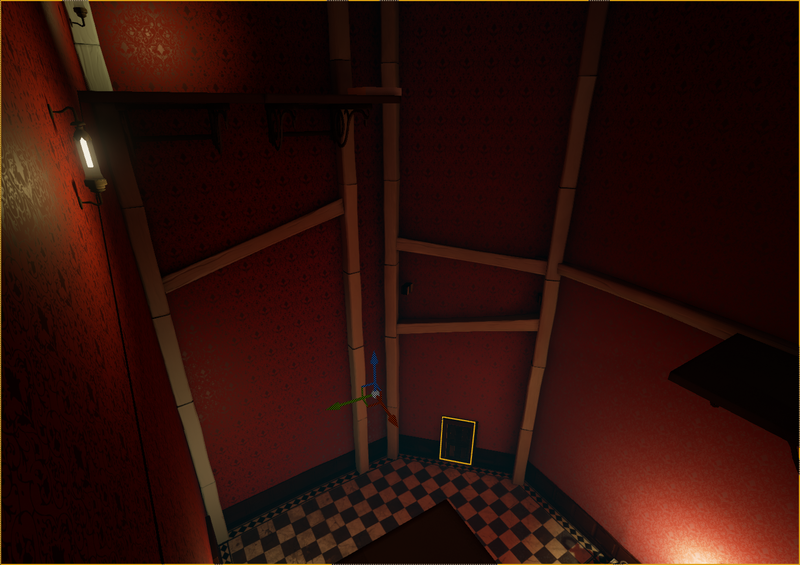 Another area I think we have excelled so far is in pulling off the complicated construction of the level. 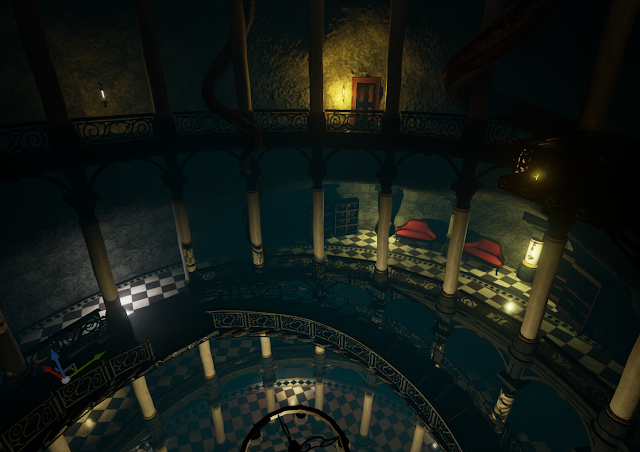 The staircase was a hard asset to create but it really helps sell the whole lobby area of the rabbit hole, without those large structures the room would not have the same impact. 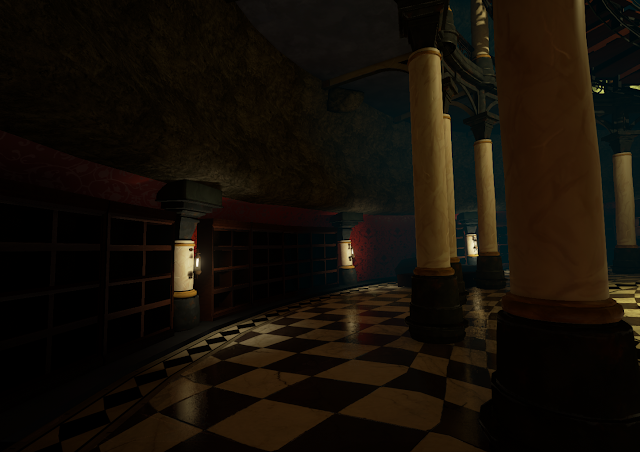 The structures combined with the lighting really create an imposing underground space that pulls the player in; it is an area that still needs to be refined a bit more though so we can get the most out of the darker areas. 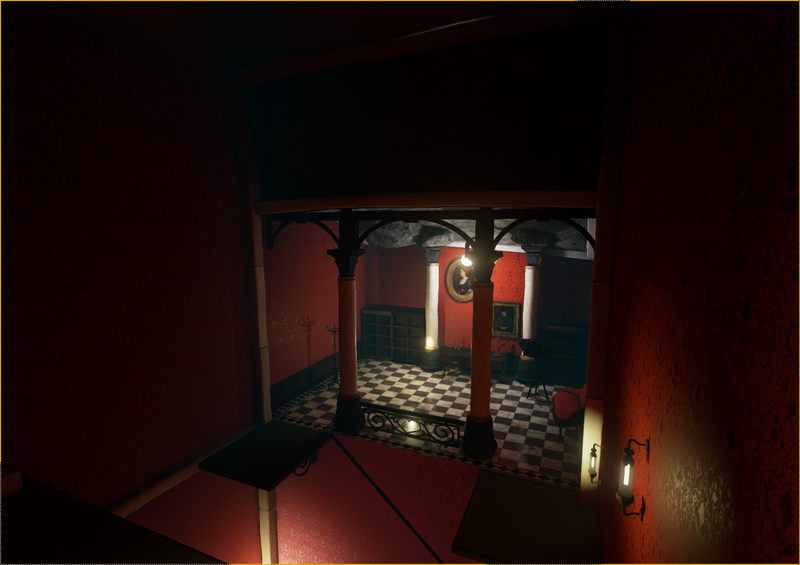 Now looking at the screenshots above you could probably tell there is quite a few things unfinished at this stage; some materials are not applied or missing, extra populating needs to be done plus more checks on playability and level optimizing. 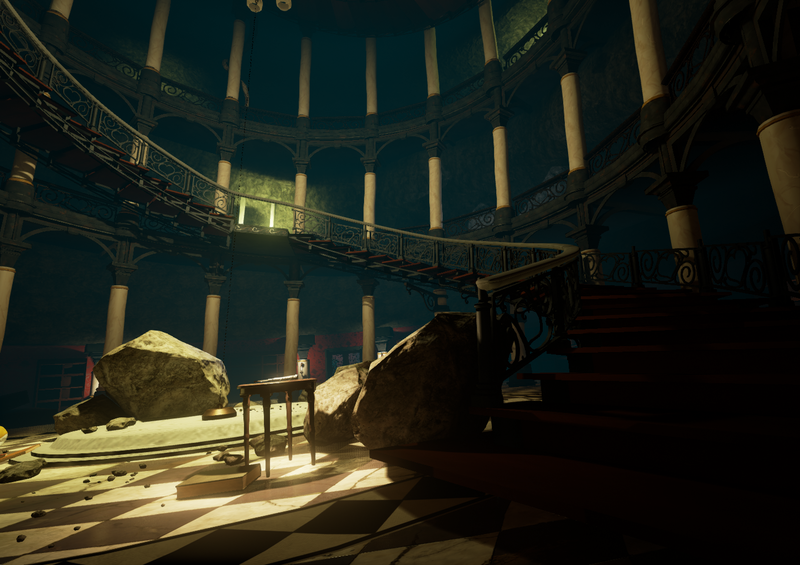 Unfortunately we had a series of problems which led to a bottleneck in finishing the level inside UE4. Our problems are linked by a common issue of misorganisation and project planning, which in turn is caused by some team communication issues that need to be resolved. 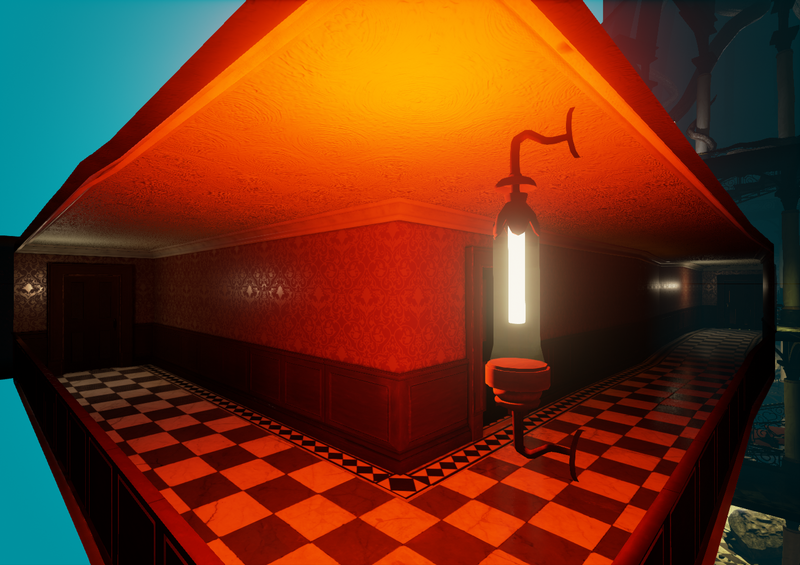 Some decisions like art direction were not settled correctly earlier in the project and it cost us having a consistent vision for the level, creating confusion and having a lot of time wasted on things which wouldn't make it in to the final scene. Our lack of planning in things like team roles and milestones may have cost us overall for not completing the map in time for hand-in, as it has had a knock on effect to other things like getting assets into the level. This became the biggest issue in the last couple of weeks where I was waiting on models and textures right up until the last day before submission, this meant a lot of going back and forth between importing and populating, a process which could have been speeded up tenfold by having a better asset pipeline. In the end the amount of populating that had to be done in the last week was too much and had to be sacrificed in order to finish the documentation. Our level was cut down massively over the course of the project. 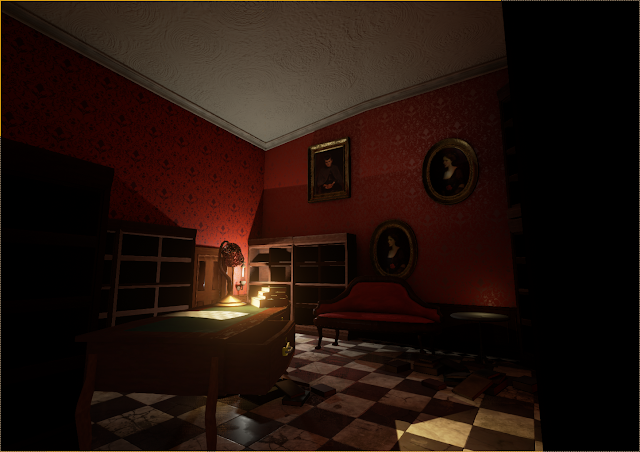 We cut three rooms from the map: the entrance hall, the first corridor and the study room which has been retooled into just a desk scene surrounded in darkness. This helped a lot with focusing on populating the better areas, as well as helping the general flow of the level and trimming the fat. We found it wasn't needed to have the study made as a whole room and instead focused on just the desk. 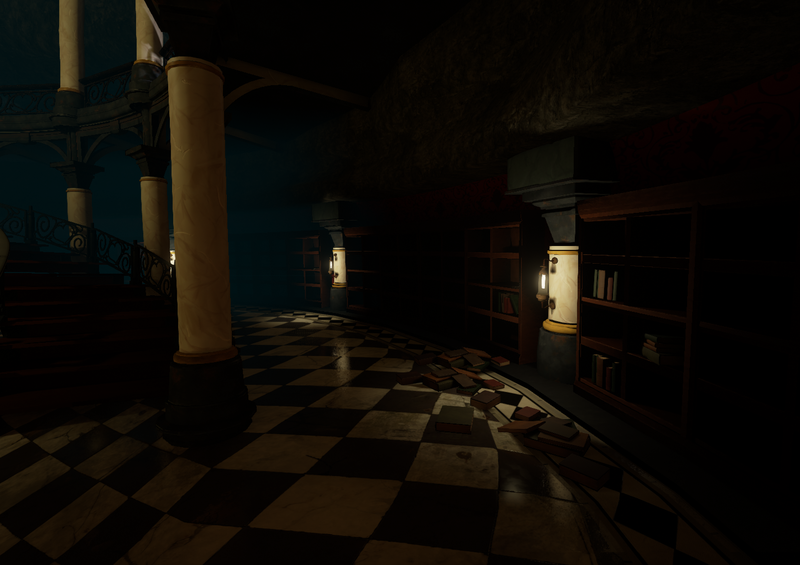 This also extended to the entrance hall where we found the only purpose it had was as a room Alice would leave, the map entrance was later folded into the Lobby which feels more suitable as a starting point now. Another constant flip flop was the art style, very early on we were looking at more stylized works and paintings as a source of inspiration. We focused on creating a warped realistic environment that made the player feel uneasy. 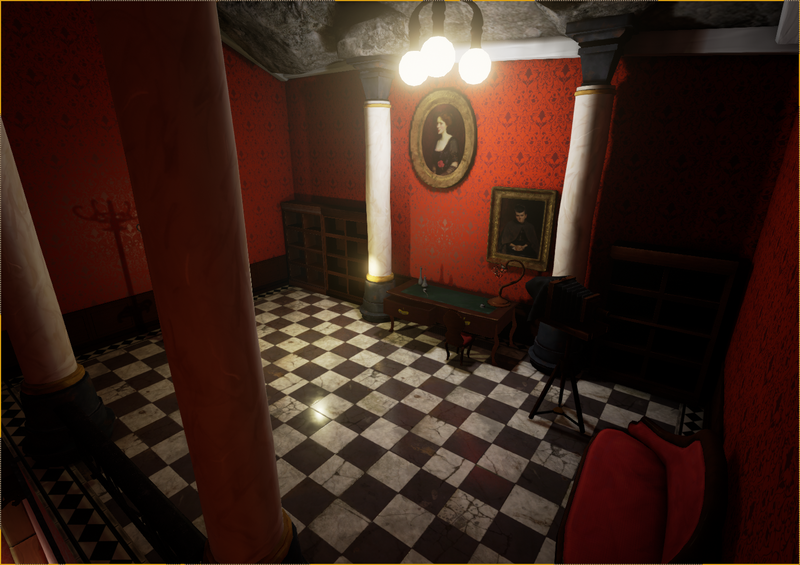 We then dialled it back a bit so it wasn't quite as realistic but we are now sticking with an art style that replicates the visual style of Dishonoured, which uses realistic textures as a base before a layer of handpainting. The art direction created a lot of issues and stems from a team inability to decide on key points of the project, although now we have made a huge commitment to getting all major design choices documented so now our level is starting to seem more cohesive. 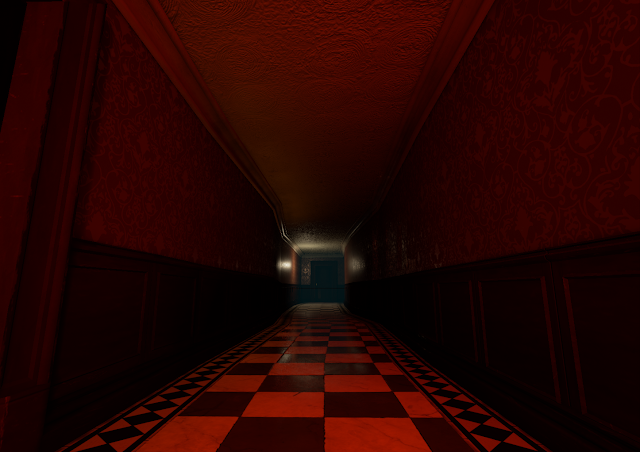 For the continuation of this project I will try to keep my role outside engine more to a minimum. Because of trying to solve things which other people have had issues with I have had time frequently out of engine, this has caused some delay with my own work. A lot of this was spent making sure I had certain assets to populate with, which is a difficult thing to do without a concrete plan. Our next step is to create a more solid plan for the next six weeks so the same situation doesn't happen again. 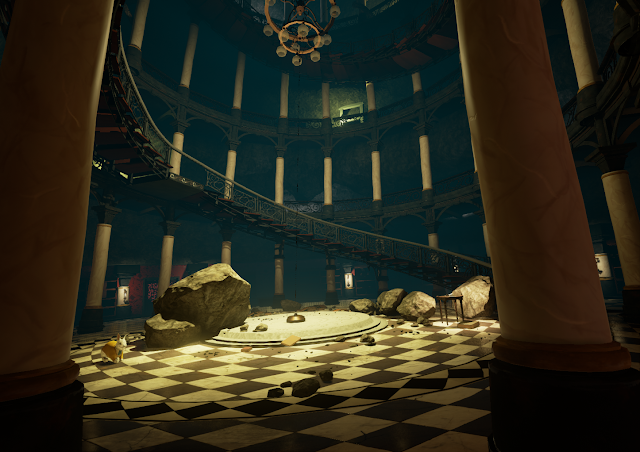 Our level needs a whole lot doing to make sure it's up to standard for Off the Map, currently there is a lack of sounds, effects and other prompts which need to be in to make it more immersive and more accessible. To make sure we get these things 100% done we need to make sure it is planned into weekly milestones. Fixing engine - Going over and foxing current problems before moving forward, working through a list of issues Tom written down for us. Allows us to continue adding things without worrying about massive technical issues later on. Overpainting of environment - We will be using this to fix player journey and visual cues and help come up with ways to populate areas better, this allows us to fix any glaring visual issues with the level. Models - Creating some very quick props to decorate the level with based from the paintovers, Lucy is already onto doing some blockout stuff for these assets. Import and populate - Final pass of population, before I have the other assets I will continue fixes and creating environment FX like sounds and testing playability. Final touches - Sound, FX, particles, post process, optimization. Packing and finalizing - Packing project into .exe and getting together all the necessary documentation. Look out for the next project update! Things are starting to look a bit more solid already, I'm already excited for what our final level holds.